When we think of tired, traditional spaces, images of dark and uninviting rooms typically come to mind. In traditional English architecture, homes consist of many small rooms which restrict the flow of natural light, making these spaces sometimes dark and claustrophobic. When you compare this to today’s trend of open, light and airy spaces, the result is something that can often be quite drab and tired. If you only have one or two rooms or areas of your home that suffer from darkness, there are smaller scale and easier fixes. Options such as light tunnels, skylights and roof windows work perfectly to allow light to filter straight through the roof, working effectively for large and small spaces alike. Beyond making spaces feel more open and modern, natural light brings other important benefits. It’s scientifically proven that natural light is linked to well-being and happiness. Take, for example, Vitamin D deficiencies. A lack of this nutrient is linked to depression, and the natural way to absorb Vitamin D is from the sun through the skin. Maximising natural light is also highly cost effective, as it means that during the daylight hours, power-draining artificial light sources do not need to be used. If you feel your home falls on the darker end of the spectrum, there are ways to harness the light and bring about a more modern feel. The most obvious way to bring more natural light into a home is by installing larger windows, particularly in rooms that do not benefit from a natural flow of light. This is also an excellent opportunity to update the style of your windows if you feel they are outdated (bonus: newer windows are also more energy-efficient). Another way to bring light into your home is by installing French doors. These offer a classic yet clean element to the home, all while allowing more light into the space. The beautiful thing about French doors is that there are options available to complement any style, be it modern or more traditional. If you really want to push your home into the modern style, you could opt for a glass wall, either internal or external. An external glass wall is an obvious choice for bringing in a healthy dose of natural light, but they can also be used to replace solid internal walls in order to allow light to travel more freely through multiple rooms. Alternatively, removing non-loading-bearing walls altogether not only allows this free flow of light, but it also creates a more open-plan layout, which is a key element of modern architecture. OPEN architecture is a firm of RIBA Chartered Architects and Designers. 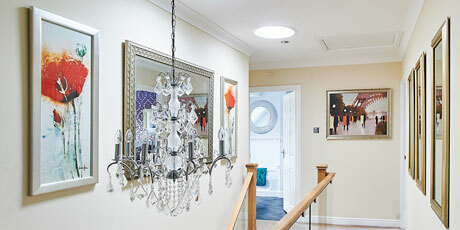 Case study: Freddie Rayner’s VELUX Sun tunnels. 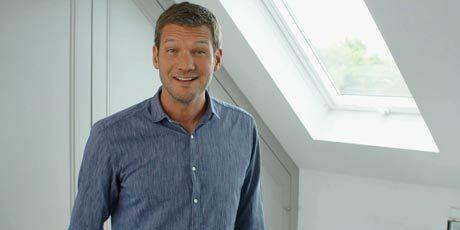 Discover architectural designer Chalie Luxton's top tips for getting more daylight into your home. Our Project Support team are here to help! Book a call with them, they'll even take a look at your plans and advise on the best way to get more daylight in!